Convert KML to Shapefile in QGIS. KML or Keyhole markup language file which store and models geographic features for displaying in Google earth or Google maps, which is not common in use for Map makers and GIS programmers. ESRI made a standard Vector file i.e Shapefile which is most commonly adopted in the field of GIS (Geographic Information System), and this made me to convert KML to shapefile, created for learning purpose from Google map. QGIS (Qunatum GIS) is an open source GIS tool, which provide you a function to convert the KML file to Shapefile, and Vice versa i.e Shapefile to kml file. You might be looking for converting KML to shapefile when you get the data from third party or from website which download free GIS map data but in different formats which can also be converted to. 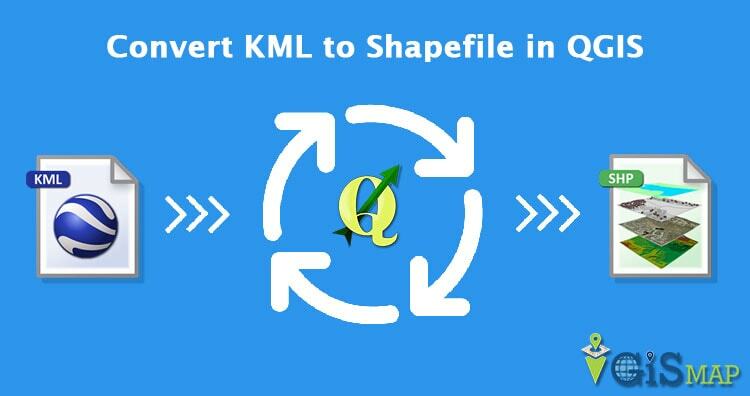 If you still don’t prefer using QGIS or GDAL utility to convert the file from kml to shp, then you should also look for KML to Shapefile Conversion using Online Tool. You might be interested in seeing QGIS tutorials. 1.) Open up the installed QGIS. 2.) Select Layer in the menu bar and press Add Vector Layer or select the shortcut icon. Browse the KML file, in the Source DataSet type, in the pop up window opened. (While browsing, select either all files or Key Hole Markup language in file type). And press Open. Select the coordinate reference type system if coordinate reference window pop ups and press ok.
you can either select layer from the menu and click on save as. 4.) 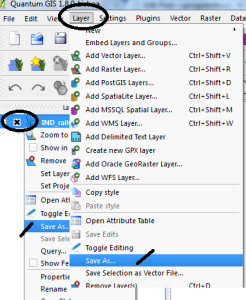 In the Save vector layer as window, Select the format from the drop down box as ESRI Shapefile(OGR) and browse the folder in which you want to save the shapefile. Name it and Press OK. Your Shapefile i.e .shp, .shx and .dbf file will be created in the directed folder. Upload your KML file in your map browser tool, or try our tool, to verify whether the tool preserves all attributes and elements or not. 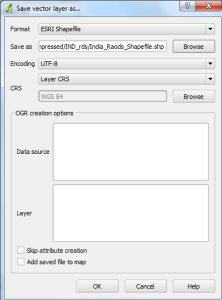 You may also see how to merge two shapefile in QGIS. Or if you are looking to convert that shapefile to kml to Topojson then you can look for GeoJSON to Topojson and Shapefile to GeoJSON and shapefile to TopoJSON. Do comment below if you are getting any problem in converting the file. Previous Previous post: How to remove gaps from a polygon layer file in ArcGIS? I can’t get this to work. . I’m following the instructions but the only thing that get’s created are three files: test.dbf, test.prj and test.qpj. No “test.shp”. When the processing has finished I’m getting an error message telling me C:/Users/Chefen/Pictures/Helikopter/Kavaheden/Test 2016-06-11/test.shp is not “a valid or known data source” or something similar. This preserves the shapes fine, but not the attribute table. On import of the .kml, all fields are combined into one, labelled ‘Name’. How do you preserve the structure of the attribute table? Hi in my ArcGIS Desktop 9.3 on the Toolbox icon. How do I save several KML file into single shape file? Convert KML to Shapefile, can I convert (save as) multi layers to shape files in one step please?